The Chilterns Association of Camera Clubs (CACC) held its Championship Day on Sunday 18th March 2019. Chris Baldwin attended as BCC External Competitions Secretary along with Andrew Spackman. This Monday, Chris gave a presentation of the event to club members following the Impact Trophy competition. Banbury entered both the Print Championship and the Projected Championship competitions. 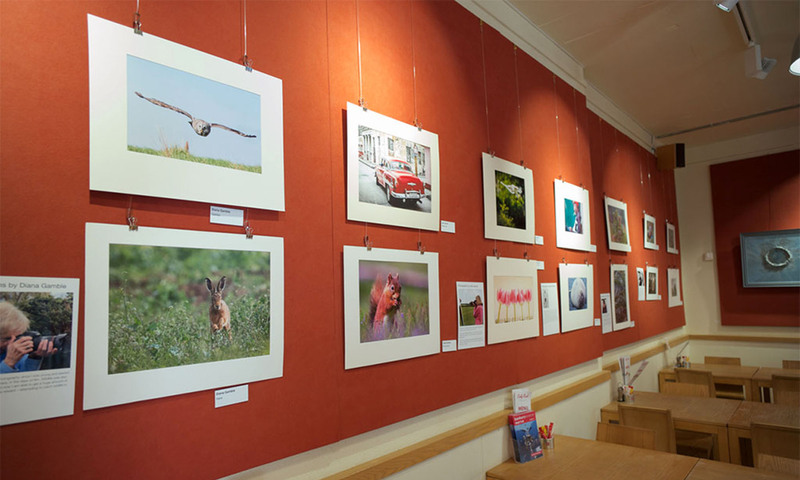 All the images entered are the work of BCC members. One image: The Highlands in the Autumn by Diana Gamble was awarded one of three Judges Awards. 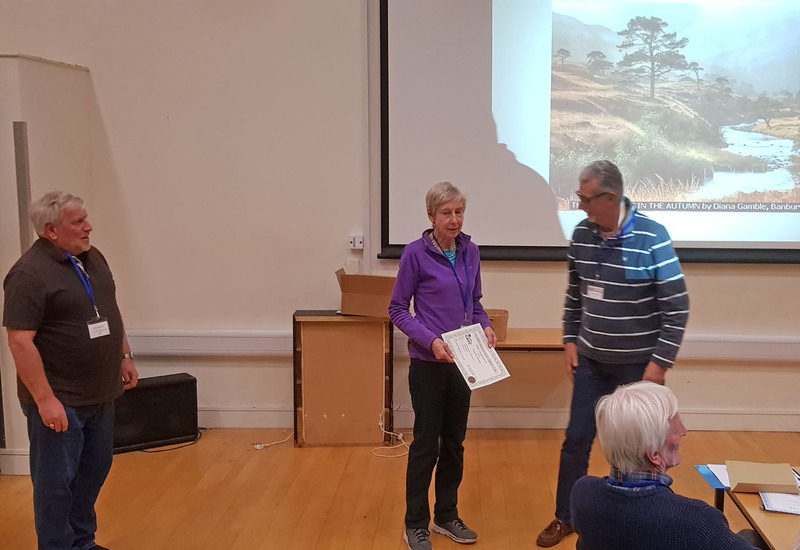 Here we see Diana receiving her certificate from Chairman Charles Binns with Chris Baldwin looking on at our club meeting. Diana’s image can be seen projected behind.